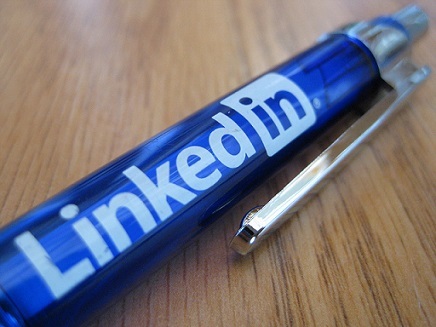 In the first article in this series, we discussed how to market yourself using LinkedIn. Now that you have written a brilliant profile and built your professional marketing platform showcasing all your achievements, the next step is to grow and engage your LinkedIn network. The most straightforward way to expand your network is by sending invitations. Any non-member accepting an invitation instantly becomes a LinkedIn member, connected to the sender, after completing the registration process. Using LinkedIn’s ‘people’ search function, you will be able to scan the network for your friends, colleagues and classmates. Third degree connections are related via two connections. Members can retrieve the contact information of their first-degree connections and browse their second and third degree connections in order to find additional opportunities to network and connect. LinkedIn is smart and will continue to recommend ‘People You May Know’ with whom you may want to create first-degree connections with. As these suggestions will change over time, it’s another reason to check your LinkedIn account regularly. With your degrees of connection with others established, you can now start using your network to grow it further using a powerful LinkedIn solution called ‘Introductions’. This feature enables a user to request an introduction to another member through a mutual connection. If you want to contact someone who is two or three degrees away from you, you can request an introduction through one of your connections. Your connection will in turn decide whether to forward your message on to the desired recipient. By using this tool, LinkedIn does away with traditional ‘cold’ introductions and uses mutual connections to cultivate connections. An introduction is so much easier to follow up on than trying to come out of nowhere and get to know someone! As you were writing your profile, LinkedIn probably asked if you would like to join any ‘Groups’ – which can also be displayed on your profile page. Groups provide a forum for members to discuss topics of interest, meet and interact with other professionals who share those interests. Group members are able to discuss, share and comment. 1. Access to experts in other areas – When you have a question, it’s best to find experts in that industry and ask. Groups help with consultations and second opinions as well. In groups you can easily find experts to consult with. 2. Expand your network (again!) – Being part of a group gives you access to 3rd degree connections that you wouldn’t otherwise have the option to connect with. Using Introductions, start approaching people who can help your career. 3. Check Job opportunities – If you are following a company’s group page, you can receive vacancies and updates on graduate schemes from an employer as they come online. You can even configure your LinkedIn settings to receive email updates from each of your groups at regular intervals instead of logging into your account and manually searching by group. Look out for part three of How to Use LinkedIn For Your Career where we’ll discuss how you can harness the power of LinkedIn to access the knowledge and opportunities that are shared by its users. Creating and sharing valuable content with your network increases the number of opportunities for you to engage with your target audience, be it potential employers, headhunters or other professionals.